I had already taken a load of extra clothes into work to run this morning but in end CBA. My right ankle aches, my left knee aches and both thighs are sore. My head says skip it, snuggle up to L and see if anything develops. I was glad I didn't run in the end, as I got a bit wet walking for the bus. L ran though, or plodded as she calls it. Still, it was more than I did, run wise. Daughter’s working all the hours. She says has an evening shift tonight and then a 6.30am shift tomorrow. It’s a good job she’s been doing all that fitness work in the gym! L spends the afternoon working from home, with the boys, who are sat by their respective footballs with longing looks on their faces. 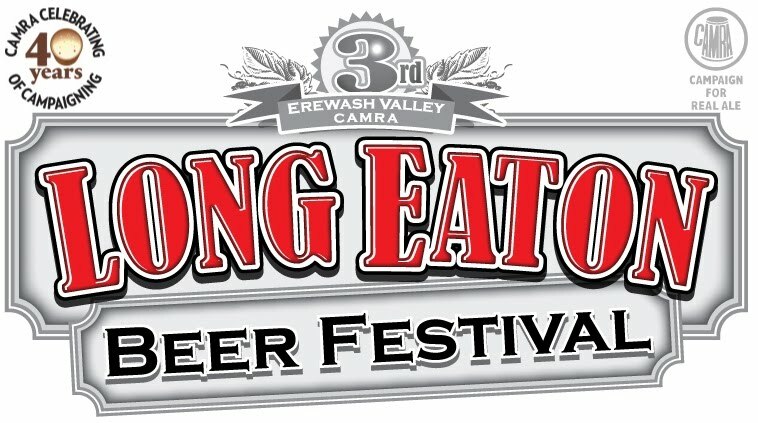 Then we meet up later at the Erewash Beer Festival in Long Eaton. It’s again at the Westgate Suite but this year they’ve moved the entrance but it doesn’t confuse us for long. There are free pork scratchings (which last about half an hour), a beer called Oakham Carioca that claims to taste of grass (it doesn’t thankfully) and a David Bowie tribute band called ‘Rebel Rebel’ (the less said the better). Beer wise, I put myself about a bit as usual, whereas L settles in for the night cuddled up to a glass(es) of Burton Bridge Festival. She’ll regret that tomorrow. BLACK COUNTRY – PIG ON THE WALL 4.3% Dudley, West Mids. RAW – NEW DAWN AMBER 4.9% Staveley, Derbys. 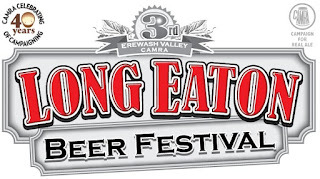 NUTBROOK – EREWASH SOUNDS SPECIAL 5.5% Ilkeston, Derbys. BLACK IRIS – IRON GATE STOUT 5.5% Derby, Derbys. NORTH STAR – ASTRONOMER 4.8% Ilkeston, Derbys. BURTON BRIDGE – FESTIVAL 5.5% Burton on Trent, Staffs. ASHOVER - COFFIN LANE STOUT 5% Ashover, Derbys. JULIAN CHURCH – PARSON’S NOSE 3.9% Kettering, Northants. OAKHAM – CARIOCA 5.2% Peterborough, Cambs.